Written by CEMB on November 27, 2017 . Posted in Resources. We hope you will be able to join Council of Ex-Muslims of Britain (CEMB) for an end-year celebration on Sunday 10 December 2017 from 2-6pm near London Kings Cross. Speakers will include Human Rights Campaigner Peter Tatchell, CEMB spokespersons Maryam Namazie and Sadia Hameed, Morrocan Ex-Muslim Council Founder Imad Iddine Habib and Jordanian atheist Mohammed AlKhadra, amongst others. There will be music by DJ Zee Jay, dancing, comedy by Kate Smurthwaite and more. It will be a fun, relaxing afternoon with CEMB friends and activists. We certainly hope to see you there or if you don’t live in London, at events we will be speaking at, including in Boston, NYC, Stockholm and Melbourne. Just recently, we returned from the 10th anniversary celebrations of the Council of Ex-Muslims of Germany in Cologne. A video marking the anniversary can be seen here. 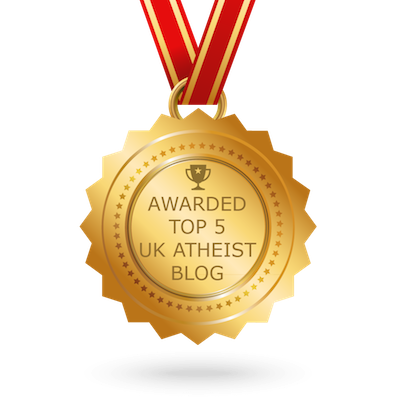 See also an interesting interview with ex-Muslim Rana Ahmad about being an atheist in Saudi Arabia filmed at that event. Also recently, Maryam reviewed a new book by “religious scholar” Reza Aslan in The Freethinker. You can read it here: God: A Human History – a rescue attempt by Reza Aslan. To mark 25 November, ex-Muslims from CEMB, Atheist Republic, Ex-Muslims of Jordan, Muslimish and others called for the rejection of verse 4:34 in the Quran which promotes violence against women. Religiously sanctioned violence against women is still violence against women – the Quran is no exception. See video here: Say No to Quran 4:34. #Quran434NoMore. Thank you for your wonderful support over the past year. We hope you will continue to support our work and join us at various actions and events. If you would like to donate to our work, please do so. Any amount helps and no amount is too small. If you would like to volunteer with our organisation, too, please get in touch. We are currently looking for professional graphic designers and also a filmmaker to edit and finalise a short film on ex-Muslim women. If we don’t see you at our end-year event, have a lovely holiday and New Year and hope to work together in the coming year towards ending blasphemy and apostasy laws and for secularism and free expression.